Music, dance and family fun come together at the Live Music Capital of the World! Join the creators of LearnWithNoni.com and hundreds of families, for fun in the sun and live music on the green. 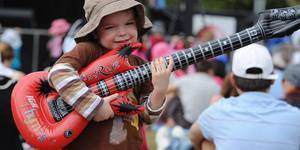 The first annual Music & Dance Festival is part of our 2019 National Family Fun Event Series, taking us coast to coast to deliver some of the best family events of this year.